Ever heard of Caviar Nails? I recently picked up this awesome kit from Lane Crawford the other day in rose gold. I wasn't sure how it would play out or if it would look too much if I did all my nails so I tested the waters and decided just to caviar my ring fingers (such it seems the trend to change up the ring finger nail). 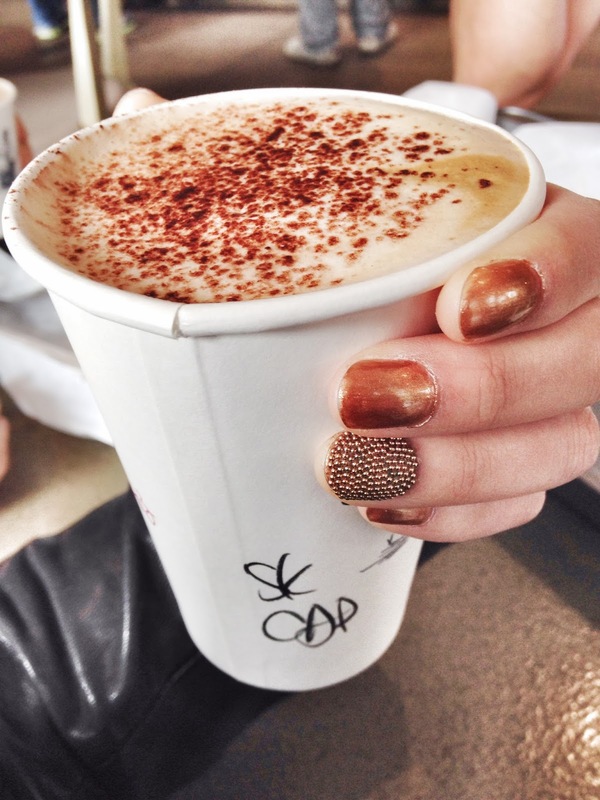 In the end I thought it looked pretty blingy and matched my morning cappuccino from The Petit Cafe just perfectly. The texture is also very interesting! I kept touching my nails consistently! Definitely an easy DIY manicure.